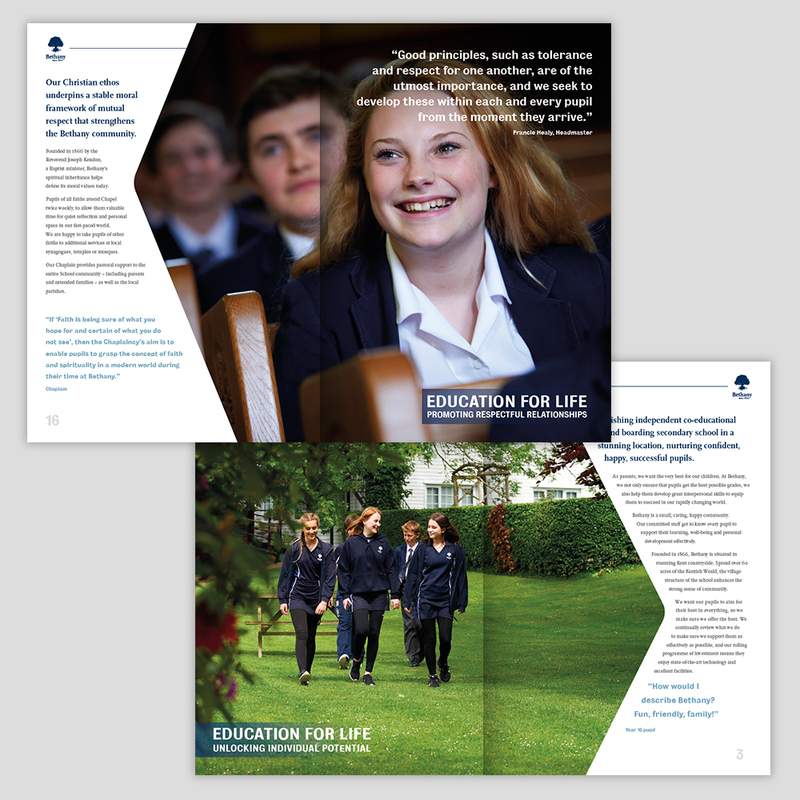 Our brief was to design a school prospectus package which would stand out from the rest. The pack was to incorporate a pocket to hold loose leaf inserts as well as containing the 12 page A4 prospectus. We opted for a substantial die-cut outer sleeve which had a pocket at the front for the inserts. The prospectus was attached inside. The sleeve was stylishly fixed together at the front with a magnetic clasp. 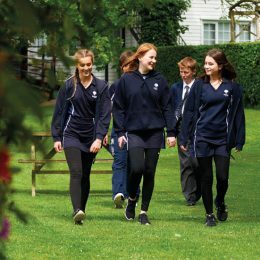 We also illustrated the school’s positive learning environment using large photographic images commissioned from a local photographer. 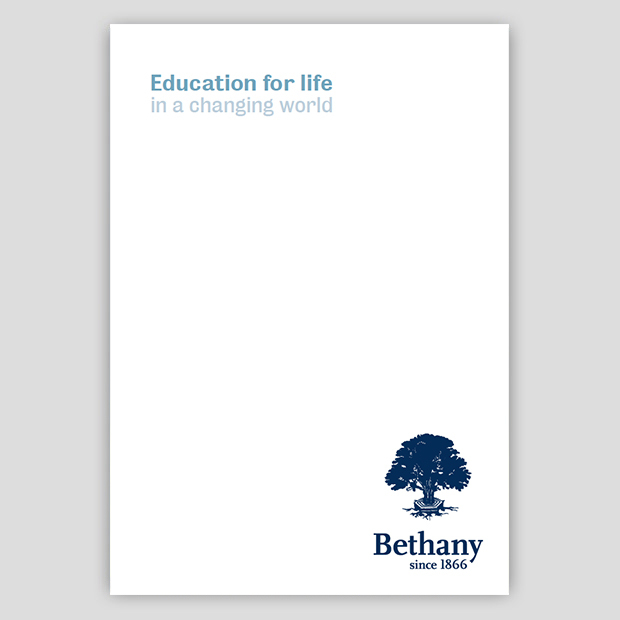 The Bethany School prospectus pack was designed to stand out from the rest and be kept by its recipients.